In a large bowl, mix the meat, onion, bread crumbs, ginger-garlic paste, spices and salt with your hands. (When well-blended, the meat will change colour, becoming a little darker.) Shape the meat mixture into oval kebabs about the size of a small egg. Fry in oil in a shallow pan until they’re lightly brown all over. Set aside. In a pot set over medium-high heat, heat the oil and cook the onions, stirring constantly, until golden. Add the ginger-garlic paste and stir for a few seconds. Blend the tomatoes and chili and stir them in. Add the spices in the order given, stirring after each. Fry for two minutes, then add 2 cups of water, reduce heat, cover and cook for 5 to 7 minutes. Stir well and reduce heat to low. When the water has evaporated and oil has risen to the top, add the kebabs. Fry for a minute and add another two cups of water, cover and cook for 10 minutes, turning the kebabs every few minutes. 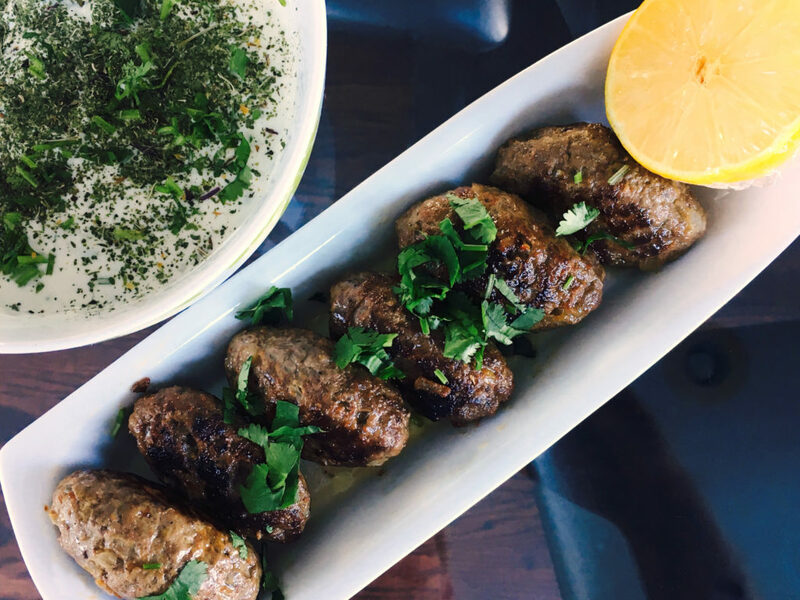 When the oil has risen to the top again and the gravy is the consistency of Greek yogurt, serve topped with cilantro. Posted in Recipes, Beef, Pork & Lamb.